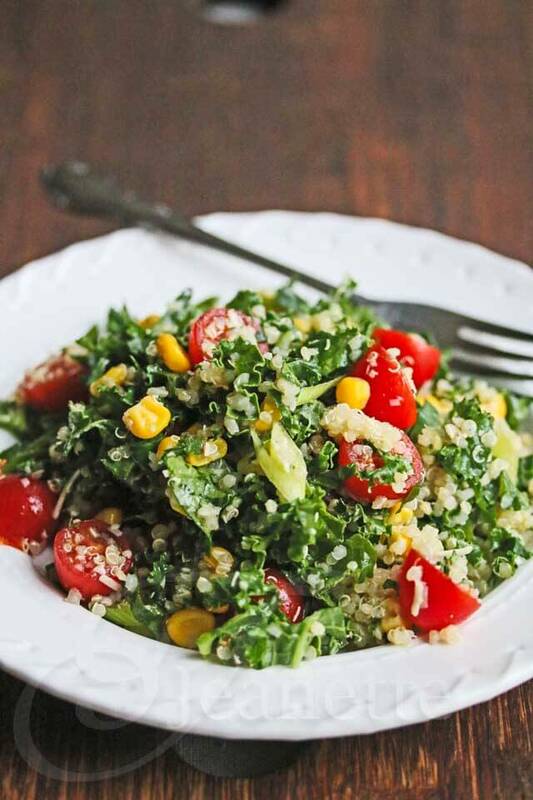 Quinoa Kale Tomato Corn Salad is light, healthy, and delicious. I love salads that can be enjoyed as main course salads when I’m looking for a satisfying, but light lunch or dinner. 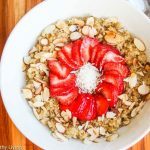 Quinoa is a versatile grain (it’s actually a seed) that can be enjoyed for breakfast, lunch or dinner. It can be eaten in sweet or savory dishes, and can be served hot or cold. 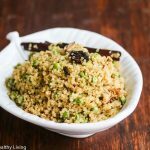 If you’ve never cooked quinoa, check out my post How To Make Quinoa + Health Benefits and watch my video. 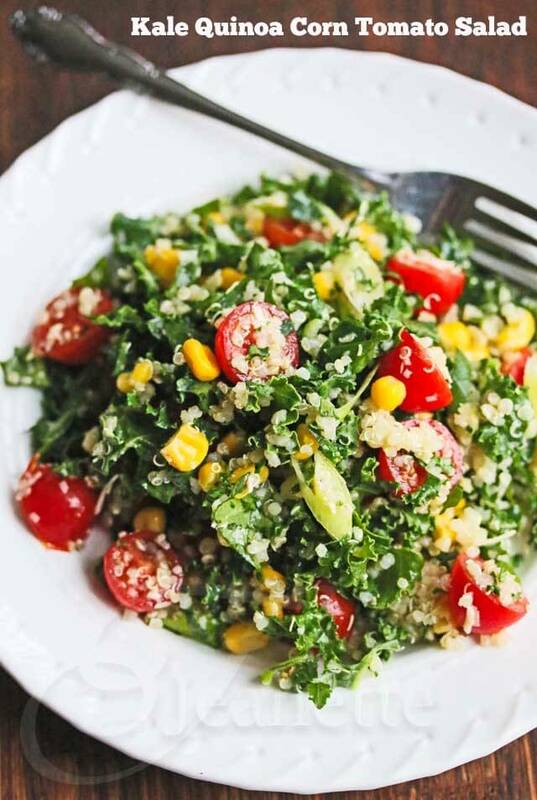 Today’s recipe was inspired by a quinoa salad and kale salad at a local restaurant called Baldanza. I love all the fresh offerings this place has to offer at lunchtime and the Mixed Bag Salad is definitely one of my favorites. There’s nothing fancy about this salad – it’s just made with really fresh ingredients, lemon juice and good olive oil. I’ve got a short video showing how to make this salad. When I make salads, I think about the portion size that I want to eat of each vegetable. For example, for one serving, I eyeballed 1 cup cooked quinoa, 1 cup of chopped kale, 1/2 cup of chopped cherry tomatoes, and 1/4 cup corn. Cheese is totally optional (for vegan version, leave it out, use vegan cheese or nutritional yeast). Just make sure you make the calories count and choose a really good cheese if you do use some. In this case, I used Sartori’s Family Heirloom Bellavitano cheese, which has been aged for 18 months. It’s a special release in celebration of Sartori’s 75th anniversary. If you can get your hands on this special cheese, I highly recommend it. I do so love my quinoa!! And all Bob’s Red Mill grains..they are the best! This salad is positively riveting! Love how colorful it is. Just finished making this salad for dinner. What an explosion of taste. I added more garlic. The lemon and the zest add brightness. This definitely will be a go to salad. Yes the color attracted me too! Looks summery! Thanks Theresa – it is a cheery salad! Okay, I didn’t know Bobs Red Mill had all those varities of Quinoa. Mmmm, it 6am and that salad looks so yummy. Thanks for the recipe. Joan – I love all the different varieties – makes it fun for mixing things up when you cook with quinoa. 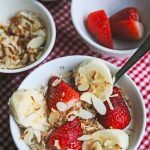 love quinoa…..Mum in law is a celiac-ster so I have quinoa on hand all the time and use it for everything…. try stuffing a chicken with it! Great idea stuffing chicken with quinoa! Wonderful! So fresh and lively! Wow, is that ever a pretty salad! We love how simple you made it, using just a few ingredients, yet it is obvious how delicious and fresh it’s going to taste. We’re going to share a link to it on our Facebook page so all of our fans can see your photos and recipe. We know they’ll like it. I love quinoa; though I have mostly been having it hot (stiffed in tomatoes is great). Your salad looks like a lovely idea! That’s what’s so great about quinoa – it’s good hot or cold. 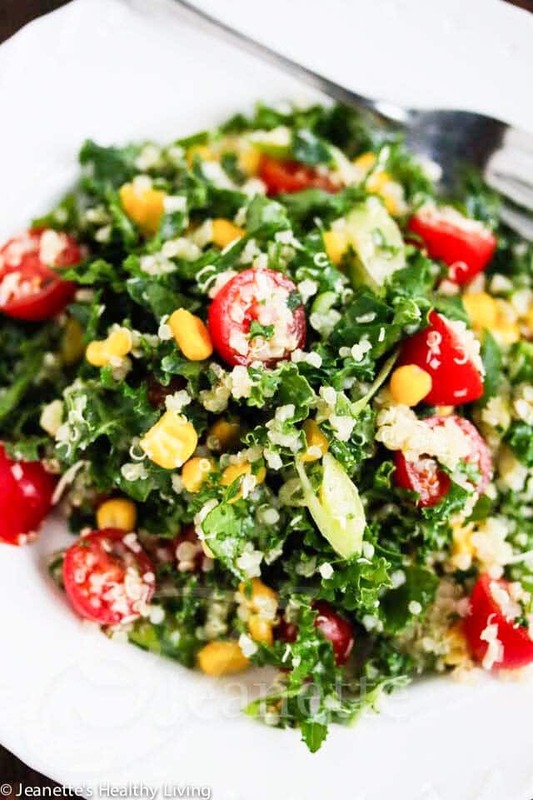 Love how pretty this salad looks – I can never get enough of kale and quinoa. I still haven’t tried the tri-colored quinoa yet and will look out for that next time – thanks for sharing Jeanette and hope you have a great weekend! Love quinoa too! Your salad looks so colourful and fantastic, Jeanette. I made Quinoa using a Lipton Onion Soup Mix , and sauteed onions and mushroom. A few times I have mixed it with sauteed Kale too. I’m still new to using Quinoa, but I am very interested in it. I have only had quinoa as porridge in the morning. Yes, I have tried quinoa before. I love it prepared plain with minimal spices, packed into a mold (measuring cup works fine) then gently released onto plate next to main course. Lovely presentation. 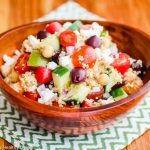 I’ve also tried it in a Greek type salad: yum! 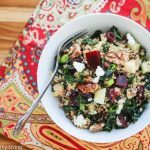 Cathy – love the idea of molding quinoa to make a pretty presentation! Amanda – love both of your salad ideas – they sound delicious! I made a quinoa mac n’ cheese. It had a different texture, but the flavor was good. Miranda – that sounds great – I haven’t tried using quinoa in mac n’ cheese but I love the idea. Thanks for sharing! So good – to taste and for our bodies. Thanks for the giveaway. I’ve made salads with quinoa. . I love quinoa. . especially red quinoa. . so pretty! 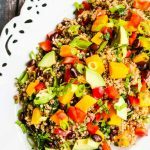 Alice – yes the red quinoa is especially pretty! We are big fans of quinoa, it’s so funny, as not to many years ago no one heard much of it, considered more exotic. Love this salad recipe, delicious! I love quinoa, my family is not sold yet. I didn’t realize that Bob’s Red Mill had tri-colored quiona…have to find some! The salads look attractive and very healthy. 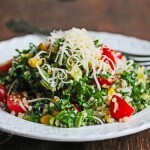 The quinoa, kale and corn salad is on my menu list for the coming week. Thank you! I have made breakfast with quinoa and it was delicious. 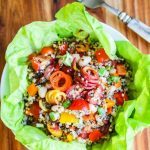 This is the perfect Quinoa Salad! I tried it by making something called veggies and egg. It was pretty good! Oh, and of course, I should have added Quinoa to that title! Quinoa, with Veggies and Eggs! I’ve made quinoa in place of pasta before, and I like it on salads! Can I substitute Collard Greens for the Kale? I do not eat Kale it is too bitter for me. Thanks. Pat – collard greens would work fine, although I would shred them very thin as they can be tough. Let me know if you try it and how it turns out. What a so healthy and colorful salad. I like quinoa but don’t use it often. I’am so sorry to hear about your father disease. You are right we should care about our health and eat appropiate food. Sport is also important and I’am planning going back to sport as I was not motivate during the winter. I know I’ll feel better and stronger. I’ve been using white quinoa for a while now. And I’ve just this past week bought red quinoa. It is very good and has a wonderful color. Love kale too, so I can’t wait to try this recipe. Thanks Jeanette. 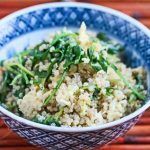 I LOVE quinoa and have used it in lots of dishes. 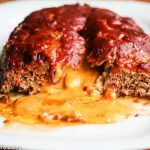 Probably my fav is vegetarian ‘burgers’ made with quinoa as the base…so delicious! 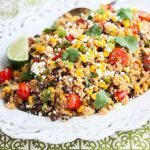 I’ve tried another quinoa salad with corn, tomatoes, black beans, and cilantro. Looking forward to this one! Especially as we get fresh summer veggies! Liz Ann – that sounds like a great combination! This is my favourite kale salad ever. The lemon zest just makes it zing! Delicious….. even my kids love it and that’s a miracle!!!! Absolutely delicious, this is a keeper! Thanks for sharing! 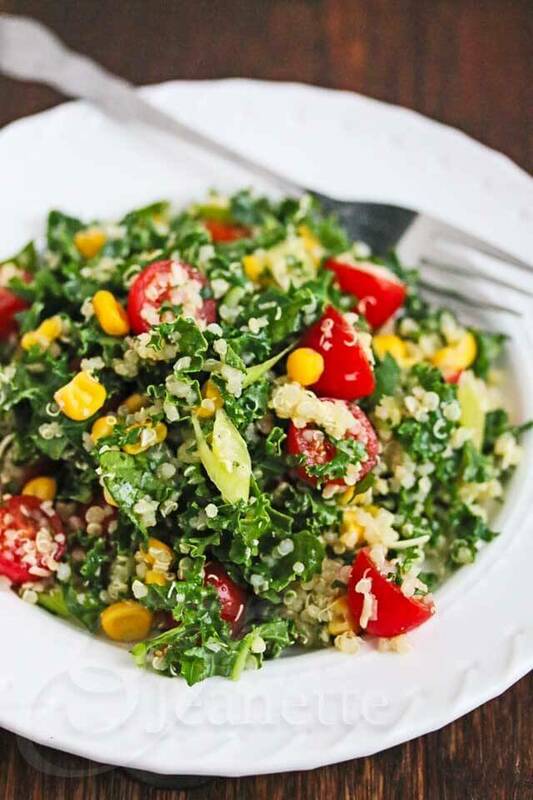 I have a question-I love quinoa and have made this salad for July 4th and got a lot of rave reviews, but my question is whether I could substitute couscous for the quinoa though they are not the same consistency? Thank you in advance for your help. Hi Angela, so glad you got rave reviews for this recipe – you could use couscous although I’ve not tried that yet. I would just be careful not to overcook it. Also, I would suggest rinsing it well with cold water to keep the couscous from clumping up. Let me know if you try it – would love to hear how it turns out.